Looking for the Perfect Gift to give a Sick Friend or Loved One? Flowers are nature’s way of helping to making someone’s day a whole lot better. Bright and colourful, flowers can lift just about anyone’s spirit and they make a great gift. 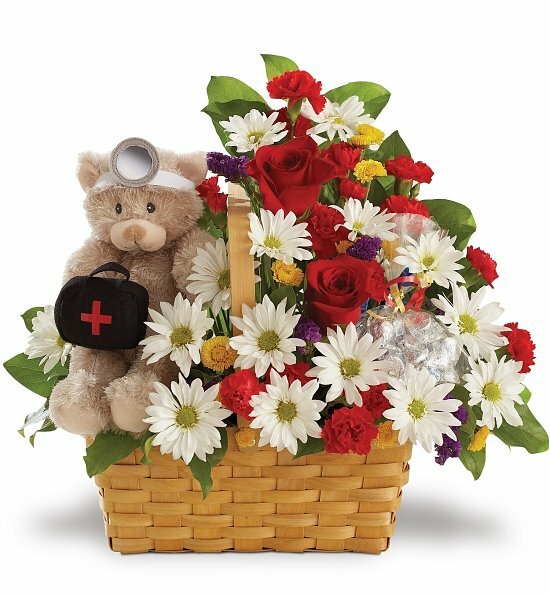 When someone is sick, sending them a bouquet of flowers is a great way to let them know, even if you can’t be there in person, that you truly care. Flowers are colourful, too, and colours are known to help aid with overall attitude and mood. If a person’s mood and attitude is in the right place, they have a better chance of getting better faster, and flowers can help do this as well. Local florists know that choosing the right flower arrangement for your loved one can be a tricky process. Of course, you want the right flowers that will reflect exactly what you wish to say, and finding the right words aren’t always easy! That is why our florists are trained so well. Using only the freshest of flowers, they want to help you personalize your selection as well as provide reasonable prices and a variety of selections. Floral arrangements are not only easy to afford but are very convenient. You can bring flowers straight to your loved one’s home or straight to the hospital, so they can have all the comforts of home. 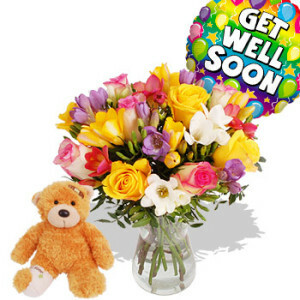 Seeing the flowers by their bedside, they will smile as they remember your caring face or read the get-well card you added. Having the flowers close by will be sure to provide a much needed comfort during their hospital stay, for they will know that they’re loved and cared for by somebody not too far away. It pays to be speedy when someone is ill, as the sooner they receive these flowers the better. But don’t fret, there’s good news: you don’t have to be physically present to benefit from your florist’s collection of gifts. In fact, you can be from anywhere in the world to enjoy these flowers any day of the year, no matter whatever the occasion may be! We offer get well flowers, sympathy flowers, and wedding flowers as well (just to name a few). Check your florist online store catalogue offering an exceptionally wide variety of creative styles and arrangements. Plus, Apple Blossom Flower knows that flowers aren’t the only great gifts to make a priceless and memorable moment. In addition to bouquets, you can also opt to send yummy comfort food treats like gourmet snacks, and even some wine to celebrate for when they get well. Or choose fruit baskets that any vegetarian will love. Little ones will enjoy a teddy bear to hold and lots of other soft toys to cuddle and play with when they are feeling their best. Get Well flower arrangements are carefully created so that they will have a personal touch. So the next time you want to help a friend feel better, come and stop by or look up our website online! We’ll help you hand-pick the perfect collection of flowers for the right person, every time.